So you're in for a new puppy to add in your family. Let's just say you haven't yet the slightest idea of what to pay attention to when picking the puppy except the cute factor. Here's my EEEMPC (eyes, ears, energy, mouth, paws, and coat) check list. 1. 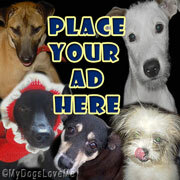 Eyes- Is your puppy bright eyed? Does he have clean and clear eyes? Are his eyes runny or having unnecessary discharge? 2. Ears- How are his ears? Do they smell bad? Is it clean? Are their patches or parasites on the outside and inside of it? 3. Energy- Does he like playing? Does he eat well and have no issues when defecating? Is he lethargic or tired looking? Is he curious about his surroundings and of you? Take note that this is very important because the puppy needs to be healthy once introduced to his new home. It is always unavoidable for them to get stressed so make sure to choose the one who you feel is prepared to see the outside world. One mistake I made when I chose my first shih-tzu was me thinking he was just being a good puppy because he preferred sleeping compared to his other sibling. Since he was a princess type breed, he was also the smaller of the two. He seemed healthy enough but after a week or so, he started to have bald patches on his tail. His new environment got him so stressed that the poor thing developed a bad case of Sarcoptic mange. 4. Mouth- Are his teeth, probably few at this time, free of plaque? Are his gums, roof of the mouth, tongue and teeth of proper color and free of sores? Does his breath smell like rotten eggs or mama dog's milk? 5. Paws- Are they free of injuries? Are the nails trimmed and undamaged? Are the pads intact and nothing is stuck between it? How is he walking? Is he limping? 6. 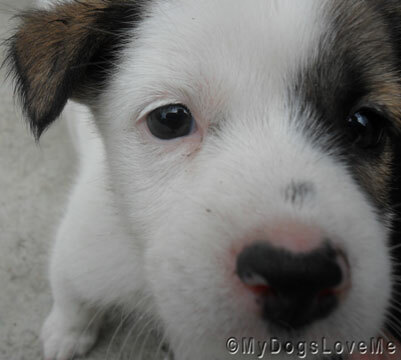 Coat- This is one of the important aspects of your new puppy's body you should thoroughly examine. Remember, most mange don't not appear until your puppy's immune system weakens due to stress. 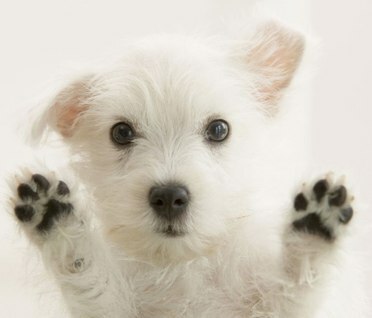 So after choosing, go to your vet to give your puppy a thorough check-up. 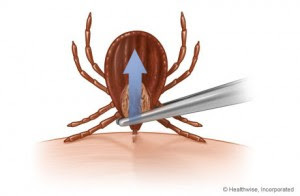 This is an image of a proper tick removal technique. There's more information on that specific process in this link which is also the picture's source. Look for bald spots. Next, check for redness and parasites. Ticks and fleas are easily spotted compared to mange. Also, see if there are dandruff like flakes on his skin. 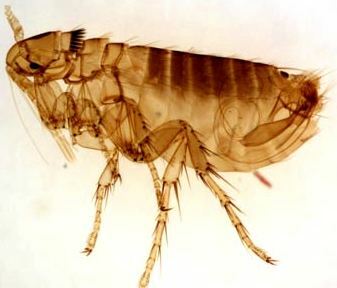 An enlarge version of how a flea looks like. The fur should be free of feces, dirt and mats. It should also not have an odd smell. Smelly fur can be caused be skin infections or open wounds. Great tips here. Haven't thought about that when we adopted two lovely pups. BTW, I still have to ask my blogpal Windy on how he tweaked my blog Re: visitor’s latest article when you submit a comment. I will let you know once I learned how he did that. I have asked Windy and he said it's just Commentluv. He asked if your blog is powered by Wordpress? Coz commentluv is a Wordpress plug in with its own settings. If it's with Blogger, there are a lot of limitations and that's one of the reasons why I have migrated to Wordpress 3 years ago. Oh dear, I knew I should've gone with Wordpress in the first place. Unfortunately, it's so simple to blog using blogger which is why I still prefer it here. Lol, Seriously I thought Windy was the puppy! Dear me, I hope Windy doesn't get mad at me. Oh! I am sorry for the confusion. Windy is Cheeky's Master. I thought that's clear in all my posts if you had read through it. I made a major revision in my site which is the reason why I'm unable to track all the recent comments.